The Clara Lionel Foundation (CLF) founder Robyn Rihanna Fenty announced today that the third annual Diamond Ball will be held on Thursday, September 14th for the first time in New York City. The black-tie benefit will take place at Cipriani Wall Street. Returning for the third time since launching in 2014, the Diamond Ball raises money to support CLF’s trailblazing education, health and emergency response programs around the world. Chopard is proudly the event’s first presenting partner. Past Diamond Balls featured live performances by Rihanna and Lionel Richie as well as hosts and speakers like Kevin Hart and Brad Pitt. The gala unites hundreds of guests in a call to action to fight against inequality, injustice and poverty. The Clara Lionel Foundation funds innovative global education projects and scholarships, healthcare and emergency response programs and local micro grants. 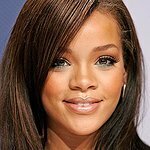 Rihanna received the 2017 Humanitarian of The Year Award by The Harvard Foundation, recognizing her longtime commitment to philanthropy and the burgeoning impact of CLF’s initiatives. For Diamond Ball sponsor and table inquiries, please email: diamondball@claralionelfoundation.org.